You want to see the big ticket items, you want to cross places off of lists and you want to maximize your time. Breakfast – Ruth’s Diner. Take in some hearty classic American diner food in this charming former street car eatery. Get there early as lines are long for Ruth’s, which always start with their fabulous mile high biscuits. When you’re finished head down Emigration Canyon (a fund sightseeing adventure in itself) and stop of at both This Is The Place Heritage Park and Utah’s State Capitol building. 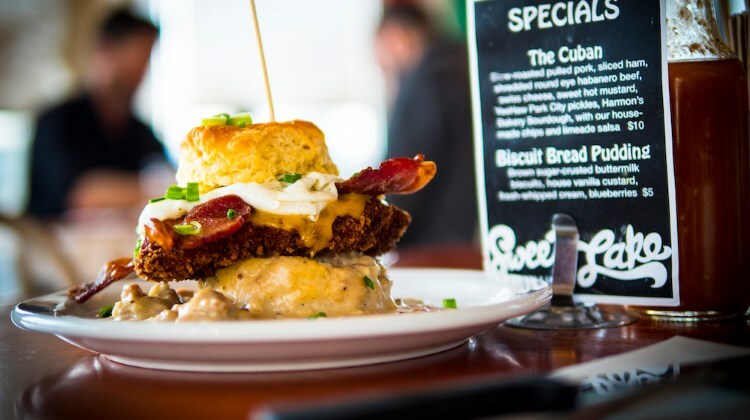 Lunch – You’ll be close to downtown now, so if you need refueling from breakfast – and honestly a full meal at Ruth’s might see you through till dinner – check out Spitz on 300 South. Park up in the adjacent parking garage and load up on some great Mediterranean fare that will keep you going through the day. Head out on foot and its just a short walk to Main Street. Now heading North you can take a leisurely stroll through the heart of SLC’s core before wandering through the billion(s) dollar built City Creek Mall and finally, Temple Square, home of the LDS faith. Dinner – If you’re still downtown, we recommend you sneak into the Copper Onion before the dinner rush hits. Located not too far from where you parked near Spitz at lunch, this New American restaurant is one of SLC’s finest and has a big city cosmopolitan feel; owner and head chef Ryan Lowder worked in New York and Europe at Michelin starred eateries before returning to open his flagship restaurant back herein SLC. If you need a night cap before calling it a day, just a few steps East is sister bar, Copper Common. Whether you just want to sip on a craft cocktail or party the night away with creative concoctions and refined bar snacks – this is the place. Your iPhone or DSLR is permafixed in one hand at all times, you want to get great some great shots whenever you travel. Breakfast – Start your day at Avenues Bistro on Third, a charming and quirky neighborhood eatery in the Avenues area of Salt Lake City. Not only will you be able to sample some of their fabulous home cooked cuisine, but you will also be in the heart of one of SLC’s most historic areas. Wander the streets of the Aves, as locals know it, and check out everything from landmark mansions to tiny cottages, loaded with charm and history. 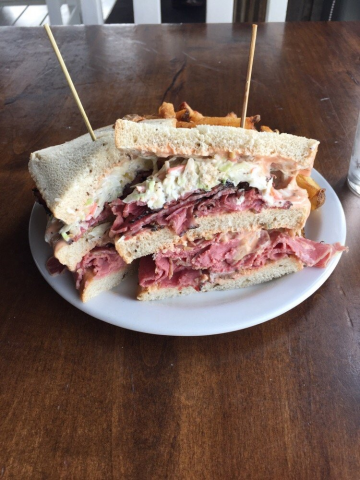 Lunch – Next stop, head a little South and hit up Feldman’s Deli for lunch. This amazing sandwich shop serves up classic NYC style overloaded sandwiches, and indeed, imports many of its products from back East. 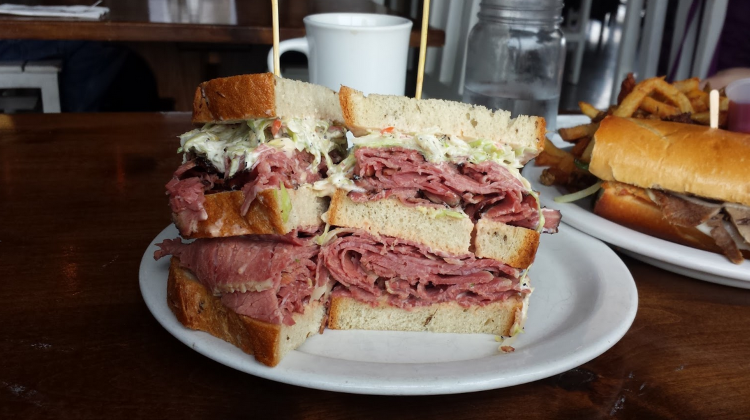 Whether you choose the half pound corned beef or half pound slopppy Joe (a mix of pastrami, corned beef and more), you’ll have more food than is sensible and definitely Instagram worthy. After lunch, take a trip to the Natural History Museum. This relatively modern facility is perfect to while away an afternoon and has a range of rotating exhibits plus a really cool permanent dinosaur exhibit on the ground floor. Extra bonus points for the photo obsessed – the top floor has a large roof top patio. If the weather is behaving you will have access to stunning vistas North to South of the whole valley. Dinner – Head up Millcreek canyon, as early as you can depending on the time of year and light. You’re headed to Log Haven for a sumptuous dinner but you’ll no doubt want to stop off time and again to capture some of mother natures greatest hits along the way. When you arrive at Log Haven, you’ll find one of SLC’s most beautiful restaurants; a historic log cabin nestled amongst towering trees and trickling waterfalls. The food on the plate is as equally eye popping as it is delicious. 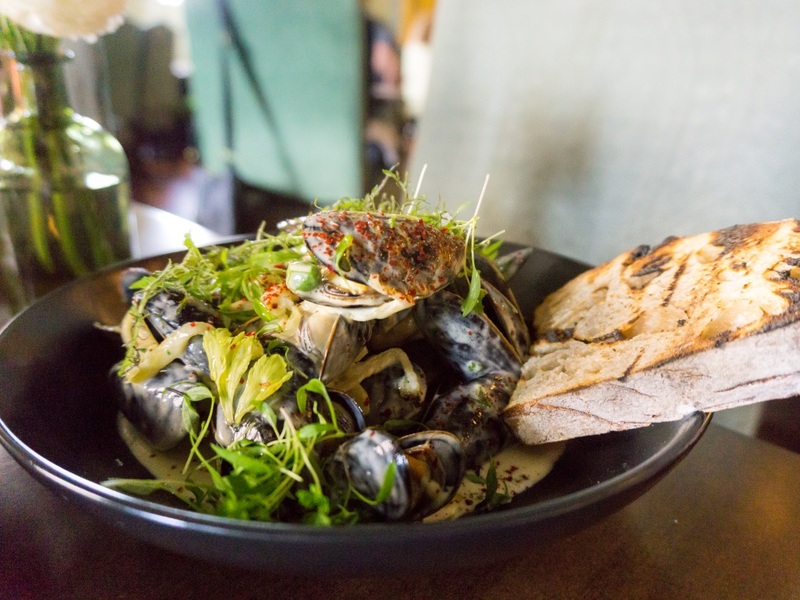 Chef Dave Jones New American cuisine takes in global influences, fuses with a mountain influence and plates with precision. Breakfast – As we’re gonna hit the road today, you’ll need to get your own motor running first. 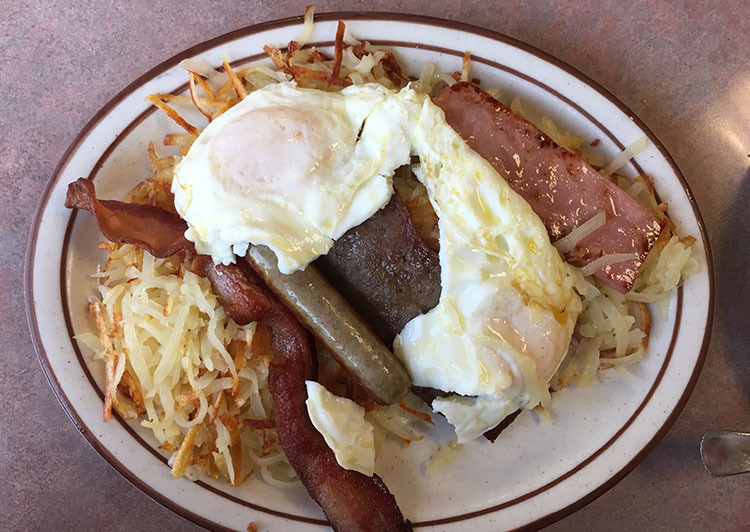 We’d recommend The Other Place restaurant in downtown SLC that serves up classic Americana style breakfast at wallet friendly prices. The menu of loaded breakfasts and hearty fare also has plenty of Greek influenced selections too, a nod to SLC’s strong Greek population. From there, head North and about an hours drive to Hill Airforce Base. The museum at the base is one of the best military aerospace facilities in the West, with everything from F-16s through to the famous SR71 Blackbird. The museum houses more than 90 military aircraft, missiles, and aerospace vehicles with a collection that includes a wide variety of ordinance and munitions, an assortment of aerospace ground equipment, military vehicles, uniforms, and thousands of other historical artifacts. Access to hill is free. Side note, if you take I-84 and UT-167 when you’re finished at Hill, you can take the quick journey up to Huntsville Utah. Here you will find the Shooting Star Saloon. A real piece of Utah history – continually operating sine 1897 and purportedly the oldest bar this side West of the Mississippi; its burgers and beer only, but its a whole heap of fun and packed to the gills with history. Lunch – If you didn’t take the detour up to Huntsville, head back into SLC and stop into the Red Iguana; an absolute SLC institution and one of the finest Mexican restaurants for 100s of miles. The Red Iguana has been serving an array of stellar Mexican dishes since 1985. With lunch taken care of, travel into downtown SLC and research your own history at the Family History Library. Operated by the genealogical arm of the LDS Church the facility houses a mind boggling amount of data; the center is home to 1.4 million rolls of microfilm on-site, along with over 600,000 books, serials, and maps. In addition, guests have free access to billions of additional record images online. The Family History Library has 550 internet-enabled guest computers and over 200 microfilm and microfiche readers. The on site staff will even guide you, completely free of charge, as you navigate your family’s history. It’s easy to get lost in the data and details for hours on end. Dinner – Take a step back in time at Hires Big H – a local burger chain founded in 1959 by Don Hale. Hires is beloved by locals for their burgers, fresh cut fries, homemade onion rings, special dipping sauce and frosty mugs of root beer. Moreover, Hires downtown still operates a classic car hop service, just pull in and the friendly team will serve you right at your own car window. Sweet Lake Biscuits And Limeade. Credit, Visit Salt Lake. Who cares about the touristy stuff, you want to head somewhere cool, somewhere off the beaten path. 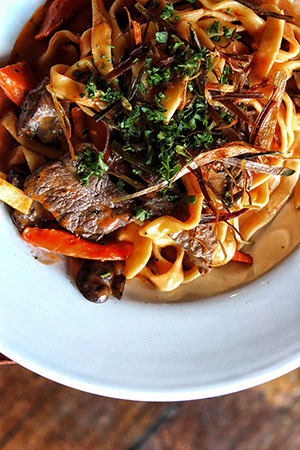 Lunch – Zip on up to the trendy 9th and 9th neighborhood, one of the buzziest in all of SLC. Take a stroll around nearby Liberty Park then go shopping at a range of independent businesses – boutiques through coffee houses through gelaterias . Finally, yes, food. Check out Alamexo Canina a refined take on regional Mexican cuisine. Order a margarita using the classic damiana ingredient, and share a range of small plates as you relax, ideally on the patio if the weather works. Dinner – The final meal of the day is over in the cool Sugar House neighborhood, Sushi Groove to be precise. As well as a full selection of nigiri and sashimi you’ll find a range of inventive maki creations and usually live music, in a space decorated with vibrant street graffiti. After dinner, journey across the road to The Bongo Lounge, one of SLC’s oldest dive bars (since 1959) and still scarily cheap – cash only too kids. Finally, ending the day, roll the dice and take in a random show. 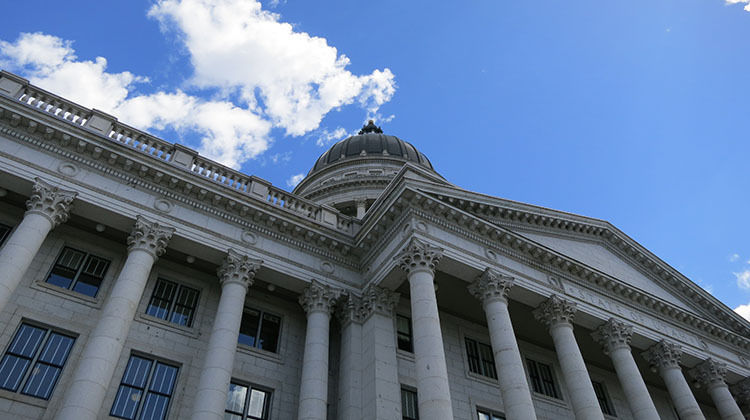 Check out the following cool venues in SLC and take a chance, who knows you might just stumble on the next big thing: The Depot, Urban Lounge, The State Room, In The Venue, The Complex. Food is life, life is food. Breakfast – Les Madeleines in downtown Salt Lake City is the singular work of Romina Rasmusson – world traveller and baker extraordinaire. The menu is small but perfect and reflects Rasmusson’s travels. Do not leave until you try the Kouing Aman (lauded by Oprah herself), a pastry that hails from Brittany, and perfected here. After breakfast head into the city proper and spend an hour or three grabbing foodie goods at Caputo’s Market And Deli. Home to a true cheese cave (one of only a handful in the US) and perhaps one of North America’s most comprehensive selections of fine chocolates, you won’t want to leave. From truffles to charcuterie to oils and vinegar – Caputo’s is an Aladdin’s cave of gourmet treasures. Lunch – If you didn’t also grab lunch at the attached deli at Caputo’s we recommend a trip up to the historic Avenues neighborhood and checking out Avenues Proper. Part nano brewery, part exceptionally good restaurant, and all fabulously fine. From there keep the buzz going with a tour of one of Utah’s many distilleries. Yep you read that right, Utah is now home to numerous distilleries, creating everything from standard vodka and gins through barrel aged specialties and long lost recipes and liqueurs Tours at Utah distilleries are plentiful, but do require advance booking in most cases. Dinner – Head directly to HSL. Do not stop, do not pass go. Just off the edge of downtown Salt Lake City you will find this New American restaurant where the menu can change hyper-seasonally. Sister restaurant to Park City’s Handle, the cuisine here is powered by the brick oven left over by a former Italian/Pizza restaurant. Everything from the hand crafted cocktail menu to the local produce-powered menu is meticulously prepared and worthy of any major US city. Order: everything. See our sister site Utah Now for even more things to do in Salt Lake City and beyond. You’ll find everything from info on seasonal events through restaurant openings, live music and more!